It’s funny how fast a practice can grow when they take the big step of actually implementing the changes they need to make to grow their practices. We’ve seen this time and time again: when doctors join our Mastermind group and start investing in marketing their practices through the four pillars, they see the growth they’re looking for. In the past couple of months, we’ve really enjoyed highlighting a couple of our members who’ve seen real success in their practices—so we’re sharing another story. Dr. Keith McSpadden of North Austin Foot & Ankle Institute has seen his patient numbers improve after just a few months of Top Practices membership and investing in his marketing. 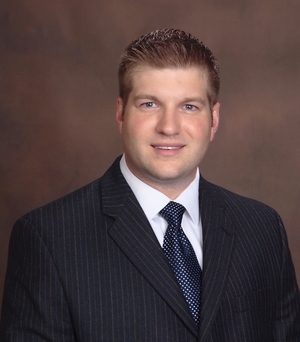 Dr. McSpadden joined Top Practices in January of 2015. He jumped full-throttle into doing whatever he could to implement all four pillars of marketing so he could meet his goals. As a part of this, he decided to add our Virtual Marketing Director (VMD) Services, including our marketing database and e-mail marketing services, to get a boost in his internet presence and internal marketing. He also started using the Mastermind group to motivate him to make the changes his office really needed, even when it was tough. Where Dr. McSpadden has seen some explosive growth, however, is through the internet. He was very involved in building his initial website, and so had already put some effort into his web presence. With the help of the VMD Services team and really investing in his online marketing, however, he saw a rapid increase in both his new patient and total patient numbers. In fact, after only a couple months, Dr. McSpadden’s office saw 20 more monthly new patients and 50 more total patients overall. More than half of those new patients specifically said they had found him on the internet. As a result of the sharp jump in growth, he has had to hire two new staff members to keep up.